Monday night is when working musicians have the night off – bars are closed, restaurants recover from the weekend trade – so what do working musicians do? They play music! 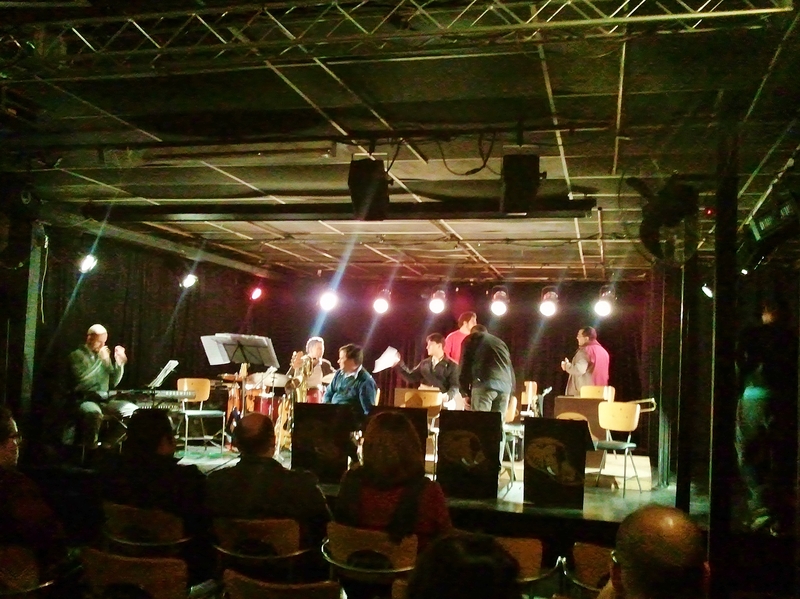 Tonight the Movimento Elefantes collective hosted an evening of big band jazz. 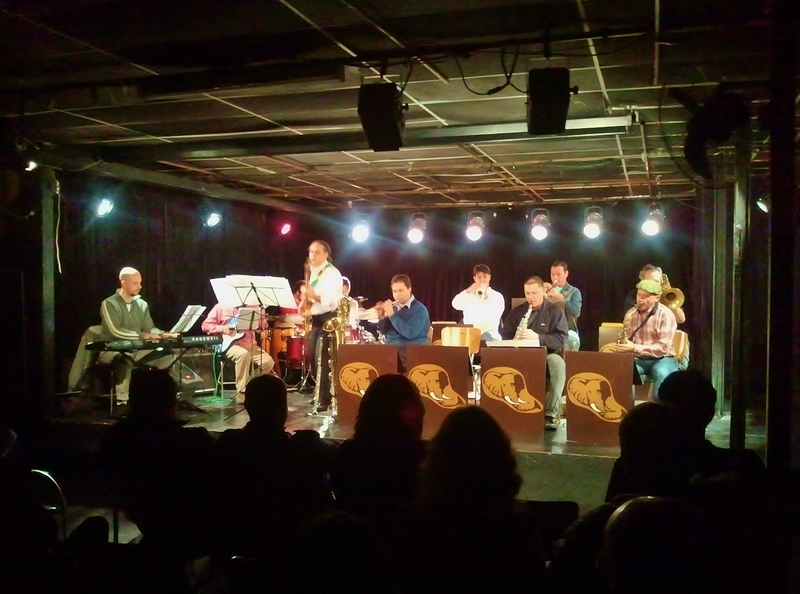 Movimento Elefantes is a group of 10 big bands, dedicated to keeping big band jazz alive and appreciated. My musician informant tells me that there were well-known players from the heyday of Paulistano big bands in the 1980s in the audience. Some of them sat in with the band tonight for various numbers. The band asks the audience to contribute what they think is a fair price at the end of the night – the appreciative capacity audience in this small theatre clearly thought it worth much more than the price of a beer. 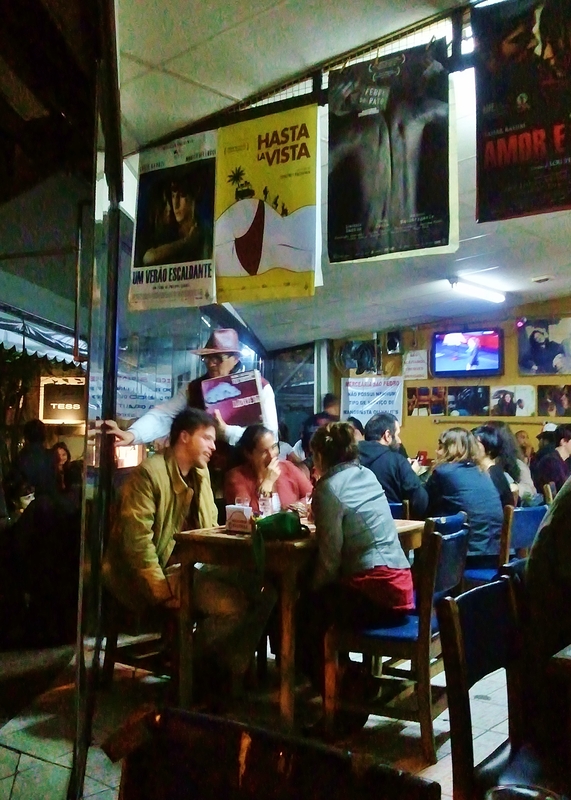 The customers in the Mercearia Sao Pedro across the road enjoyed the music too!